Goalkeeper: Although Thibaut Courtois is back to training, he is not expected to play any part in this match as he is not yet fully match fit. Therefore we expect Asmir Begovic to continue in goal. Defence: considering the fact that Chelsea will still very likely qualify even if they lose tonight’s match, Jose Mourinho may rotate the squad a bit by bringing in Gary Cahill into the squad while resting Kurt Zouma to play alongside captain John Terry. 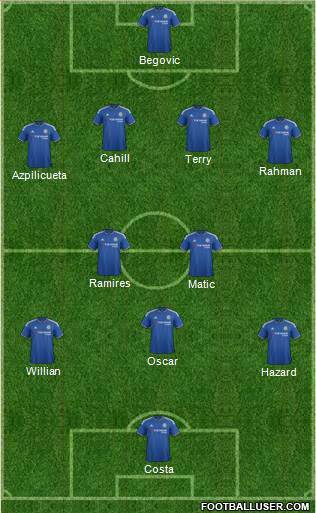 Considering Branislav Ivanovic hasn’t been playing for sometime due to injury, he is likely to start while Cesar Azpilicueta will be on the bench and Baba Rahman on the left side of defence. Midfield: Nemanja Matic is likely to keep his place, Fabregas could however been given a rest while Ramires may be recalled back to the team. Attack : Willian despite playing virtually all of Chelsea’s game in recent time will likely keep his place due to his wonderful form. 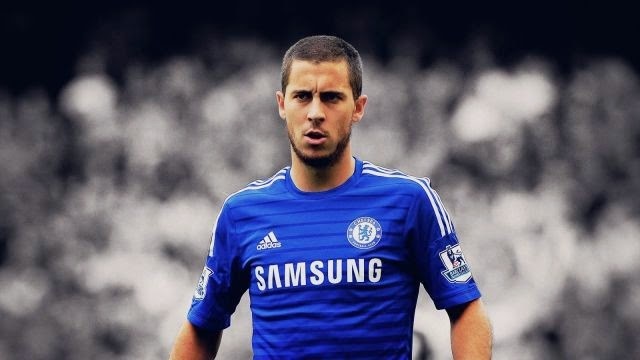 Eden Hazard who seems to have finally rediscovered his form is also likely to start. Pedro could be benched while Oscar could be recalled into the team. Diego Costa although not fully back to form is likely to keep his place. Falcao remains out with injury.